Eric dropping in to update you on the latest run to Myrtle Beach. Seems there is an abundance of activities here in Barefoot Landing and I have been busy taking in the sites with the crew. 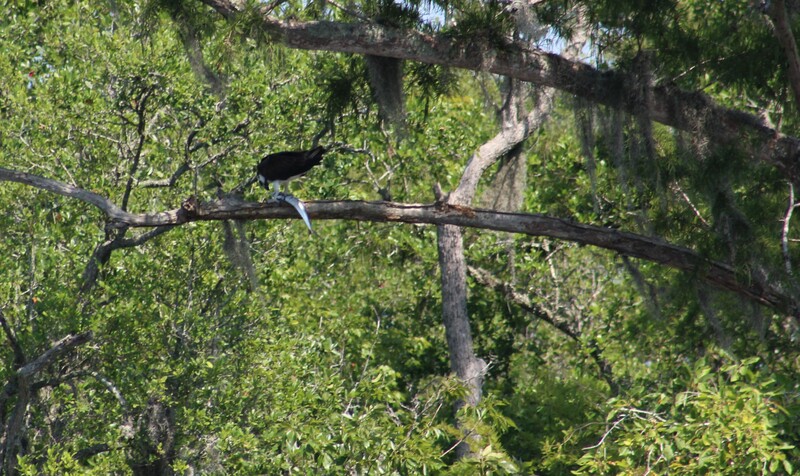 In addition, the skipper’s son showed up Saturday with Nikki and Abbie for a day cruise. Lastly, the mystery guest arrived and is on board and ready to cruise north with the crew. The run from Charleston to North Myrtle Beach was a total of 118 miles over two days, including 11 bridges, a fuel stop in Georgetown, and an anchorage. 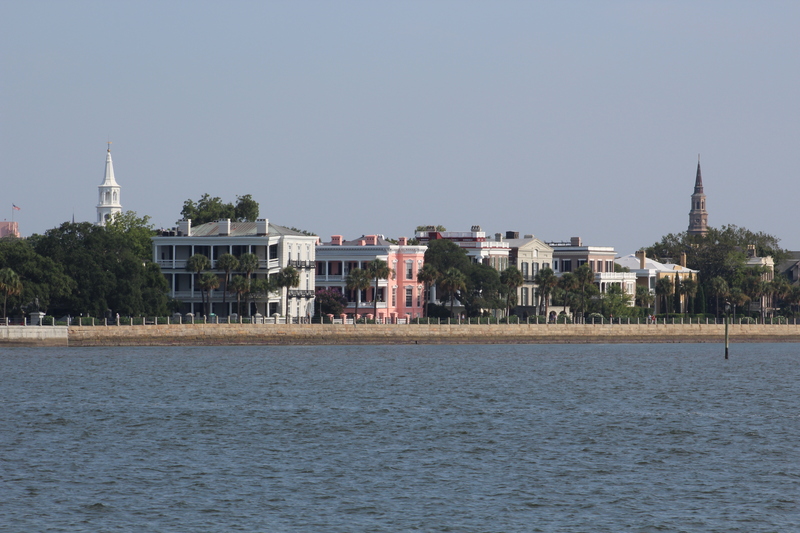 The crew left Charleston on Wednesday, August 5, 2015 at 0915. 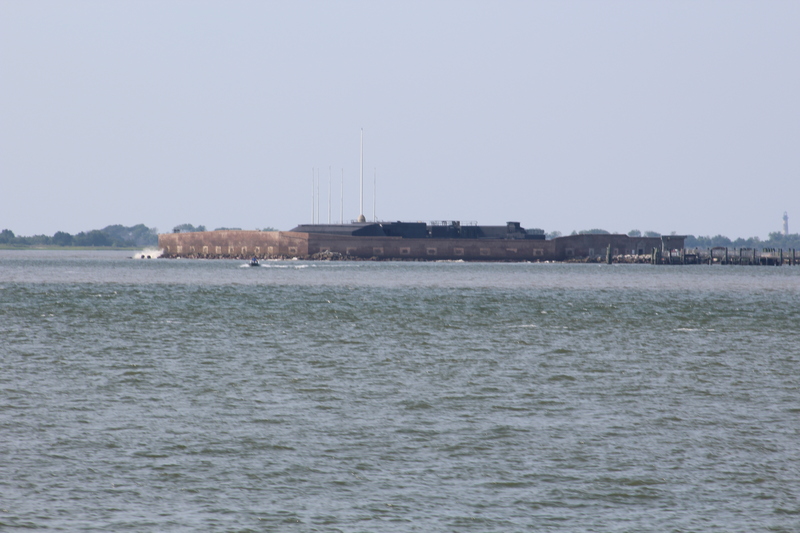 The course out of the harbor allowed a view of the historic homes along the water front as well as an interesting view of Ft Sumter from the boat. A mid-day decision was made to refuel in Georgetown and press on to Myrtle Beach. The crew will have to put Georgetown on the list of places to stop next time because all reports seem to be very positive on the town. 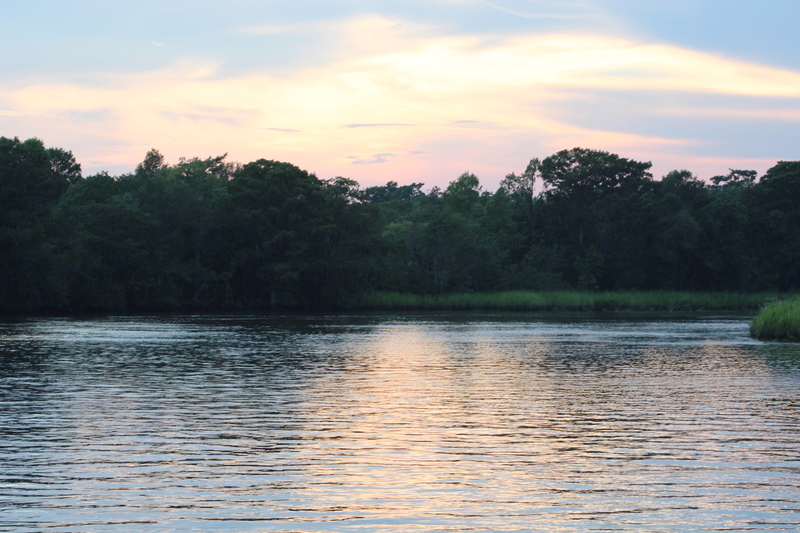 After fueling, the crew moved north another two hours and finally anchored in Thoroughfare Creek, just off of Waccamaw River at mile 400. On Thursday morning at 0915, the crew pulled anchor and set off for Barefoot Landing Marina in North Myrtle Beach. This run was gorgeous. 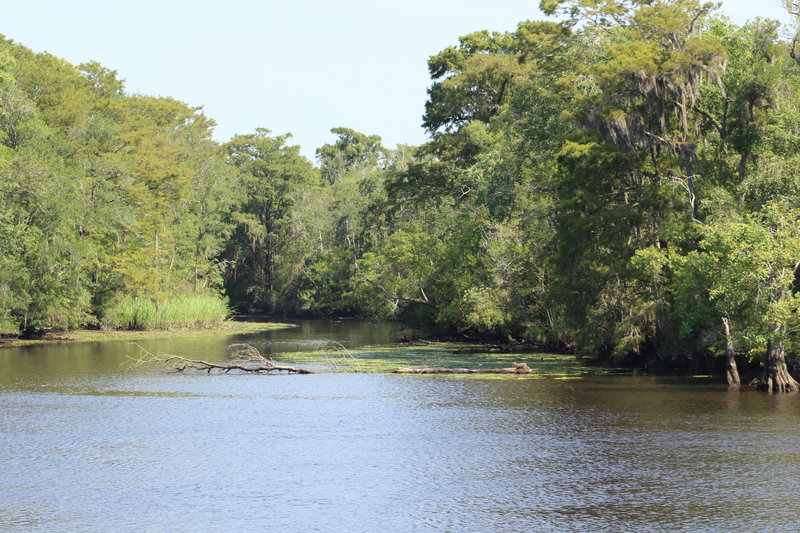 The cypress trees with Spanish Moss lined most of the way, and the water was much wider than the narrows from the day before. Also, the wildlife was abundant through this region and kept the skipper’s eyes constantly moving to see what was next. As the crew began to approach Myrtle Beach, the large homes began to take over the scenery. However, with a nickname of “The Rock Pile” this area required eyes on the water and not much sightseeing. The bottom begins to change from sand and mud to larger and larger rocks. Many a boat has met its end here, but Still Waters II found a clean path to the marina. Friday was a work day on the boat making final preps for visitors. A five mile bike ride to Home Depot was completed in the morning. Repairs made to several small items. Then a two mile bike ride to the grocery store for final provisioning for this leg of the journey. While out riding the bike, the skipper passed a sign that announced that Vanna White’s home town is North Myrtle Beach. Who would of known. On Saturday, August 8th, Mike, Nikki, and Abbie showed up for a little day cruise. They managed to stretch the three hour drive from Columbia, SC into five hours so they did not arrive until about noon. They boarded the boat, got their safety briefing, and set off for a short cruise. They went about two hours and then turned around and returned to the marina. 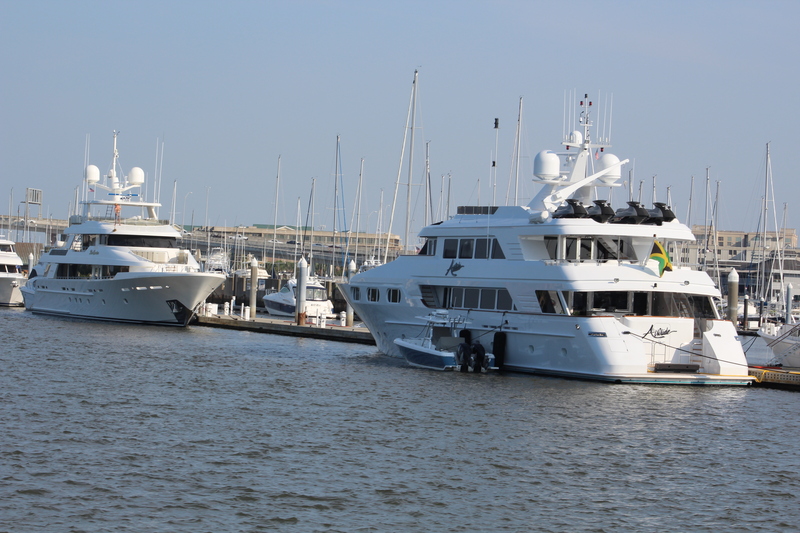 They arrived back at the marina and docked at 1610. It was now time to go to the airport and pick up the mystery guest. Mike drove the skipper to the airport and they picked up Jessica Rogers. She will be spending a few days with the crew as they continue north. For those not in the know, Jessica is the daughter of Karen Rogers, the skipper’s cousin, who spent many a summer day vacationing with the Fuller family back in the 60’s and 70’s. It is wonderful to carry on the tradition into the next generation. Jessica will be onboard a few days before returning to work when school starts at the University of Texas San Antonio where she is a softball coach. You do realize this is supposed to be FUN, right?! ?